As the sentencing portion of Bradley Manning’s trial continues, on Tuesday Army Judge Col. Denise Lind agreed that some of the 20 counts against the soldier should be merged cutting down his overall maximum sentence. RT’s Erin Ade has more on the case. Featured Image: Judge Roy Bean, Law West of the Pecos. SOURCE: Wikipedia (Public Domain). 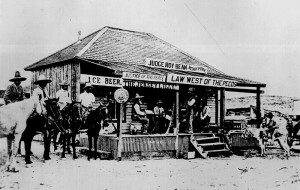 Armed with a tattered law book and a pair of six-shooters, the legendary Judge Roy Bean doled out a peculiar form of frontier justice in a lawless section of far West Texas during the last half of the 19th century. Photographs show a tough, grizzled old geezer in a dusty black coat. Tales from the life of the manipulative magistrate bridge the gap between horror and amusement. “Judge Roy Bean is a syndicated American Western series starring Edgar Buchanan as the legendary Kentucky-born Judge Roy Bean, a justice of the peace known as “The Law West of the Pecos”. The 39-episode program, which aired new episodes in 1956, is set in Langtry in Val Verde County in southwest Texas, where Bean held court in his combination general store and saloon.” . . . Part of Description published with video. 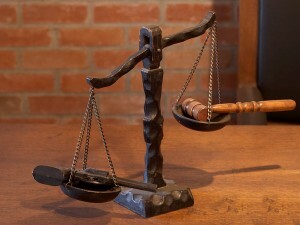 Featured Image: Scales of Justice SOURCE: Flicker.com (Public-Domain). Judge Jeanine Pirro on Fox blasts the Obama Admin & FBI on the Boston Bombings and compares it to the Benghazi False Flag incident in which the investigation STILL isn’t complete on figuring out exactly how much of it our government was behind. . . . 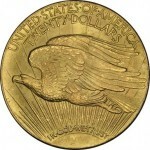 Published with video. the LAWFUL “de jure Grand JURY” of 23, 25 free men of the Shire, Must meet, take evidence, vote to indict, and ISSUE a TRUE BILL OF INDICTMENT. THAT is what is missing from from this video. Do it RIGHT, Roger may have, but he should have given the SHERIFF of the Shire [ or county ] first option to come with the crowd and effectuate the ARREST. IF the Sheriff refuses, then Roger can have a Shire, or County Militia, ARMED , go arrest the JUDGE, and take him to the jail for booking. Of course, the Arrested Judge, has a right to bail, to see the TRUE BILL of INDICTMENT. Category: Eyeballin' the One World Order / Tags: Arrested, Court, judge, treason, U.K., we the people. Judge Richard Posner serves on the United States Court of Appeals for the Seventh Circuit in Chicago, he also wants marijuana to be legalized. Following a similar ruling by the Supreme Court, a federal judge said the most controversial part of Arizona’s law can go into effect.